Dr. Anna Murphy, originally from Poland, grew up in Springfield, VA. She received her undergraduate degree in Psychology from the University of Virginia in Charlottesville, VA and her DDS degree from Medical College of Virginia in Richmond, VA. Dr. Murphy joined our practice in 2008 and enjoys all aspects of restorative and cosmetic dentistry. In her free time she enjoys spending time with her kids, traveling and going to Nats games. She resides in Haymarket with her husband, Chad, son, daughter and their dog Bailey. 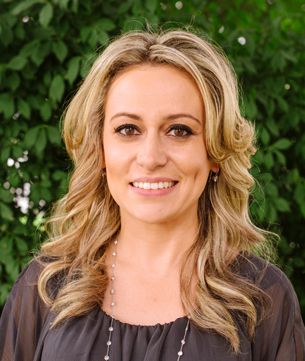 She strives to take numerous continuing education courses to keep up with the latest advancements in dentistry. She is an active member of the American Dental Association, Virginia Dental Association and Northern Virginia Dental Society.